Athens,the birthplace of civilization, home to the Acropolis and Parthenon, and birthplace of Zeus, is one travel destination you’ll never forget. In Athens, you’ll experience ancient ruins and antiquities that will make memories for years to come. People come to visit Greece not only for its history, but also because it is a culinary standout. Greece is known for it’s wonderful produce, including luscious tomatoes, olives, olive oil, local fish, tangy, lemony Feta cheese, and ouzo, a licorice-flavored liquor similar to Sambucca. There are a vast array of traditional foods unique to this region that will show up on the menus of local tavernas. Think dishes such as Spanikopita (spinach pie), Mousakka, grilled whole fish, and Greek salad. Vegetables are a big part of the Greek Mediterranean diet and are consumed at every meal. 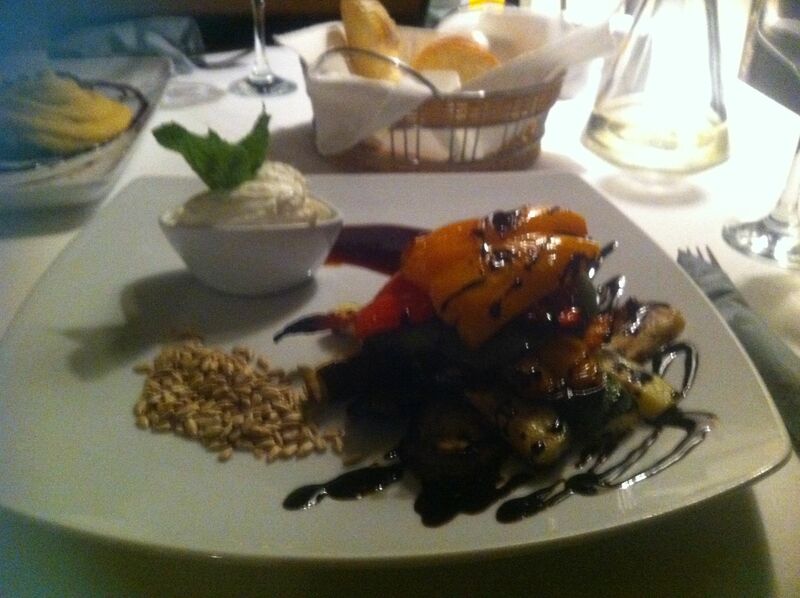 Enjoy the wonderful preparation of vegetables in Athens as you experience the delicious cuisine. In addition to being an excellent source of potassium and Vitamins A and C, most vegetables are also rich in dietary fiber, which will not only help you stay regular (very important when you travel), but will help you stay trim as you’ll feel full sooner—and will stay satisfied longer. The Mediterranean diet is also known for other health benefits, which include a lower risk of heart disease and cancer, and a decreased risk of developing Alzheimer’s disease. Greeks are known for their longevity, especially on the island of Ikaria, where many inhabitants live well into their nineties and beyond. Stroll through the vibrant area around Ermou Street in Athens and view the busy tables at the outside cafes where diners are enjoying dishes laden with vegetables. Make sure to visit the Psyrri area, which was a traditional neighborhood in Athens, that over the last couple years has become a happening spot for art galleries, tavernas, ouzerias, and music. Here you’ll find restaurants that have a more modern approach to Greek cuisine. Definitely worth the cab or bus ride. While you’re visiting Athens, it’s good to be aware the traditional dishes you may come across in the tavernas. The following list shows some of the “healthy” and “not-so healthy” menu items. Luckily, there are many healthy dishes served in Athens. If your plan is to stay trim as you travel, enjoy more of the dishes from the “healthy section.” Go easy on the “not-so-healthy section.” These dishes are higher in calories and fat, but are delicious, so share! Thankfully, many of the dishes served here tend to be on the healthy side! And just enjoy the friendly people, the culture, the food, the breathtaking scenery and illustrious historical ruins. You will be amazed! Horiatiki Salata- Tomato, cucumbers, onions, Feta, olive oil, vinegar and olives. No lettuce. Gigante beans (or Yigendes)—if you are vegetarian or vegan, a dish of these tasty high-protein beans can be your main course. Cooked in tomato sauce or olive oil and lemon. Sadziki: Yogurt, cucumber, garlic, and onion dip. Great with Pita bread. Taramasalata: Fish roe and yogurt spread. Delicious. Fava beans: Dip or stew made from favas that can be eaten with a spoon or with bread. Patates to Fourno: Oven roasted potatoes. Briam: roast vegetables. Usually contains potatoes, onions, zucchini, eggplant and tomatoes. Similar to ratatouille. Great main course for vegetarians. Dolmades: Grape leaves stuffed with rice, onions and sometimes ground beef. Can be ordered without meat. Mousaka: Baked dish similar to eggplant parmesan. Contains eggplant, potatoes, onions, ground beef, and a Bechamel topping. Pastitsio: Think of it as a Greek Lasagna, but without cheese.. Layered noodles, meat, tomato sauce, and a Bechamel topping similar to Mousaka. Saganaki: fried cheese. Sometimes comes with tomato sauce. Casseri: Soft cheese like mozzarella. Patates Tiganites: Greek fried potatoes. Restaurant Terminology 101: “Horis” means “without.” If you want a menu item sans an ingredient, just tell the waiter: hoe- ris (without) and the name of the item. If having meat, fish, shellfish,or chicken, order it grilled. Make vegetables the focus of your meals. You will fill up faster. Start the meal with a Greek salad or a Horiatiki salad. If you have dessert, order one item and share it. Stay active. Enjoy Athens by foot. Spend your days walking around this beautiful and culturally-rich city. It’s the best way to visit historical sites, burn calories, and truly enjoy this Mediterranean gem.